The passing of Matilda, the Algonquin Hotel’s former resident cat, is sad, but she leaves a rich legacy in her wake. 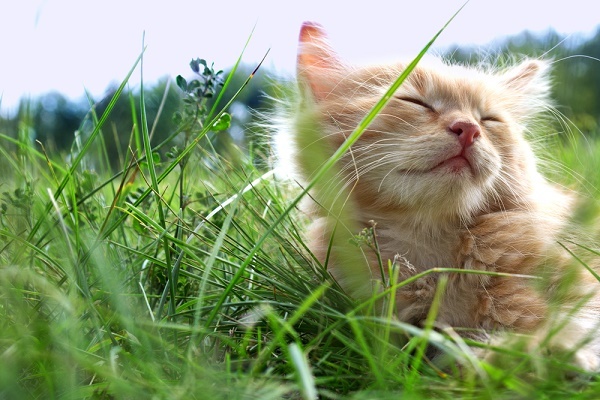 At Catster, we have written about many felines who live at places of business and become hits and tourist attractions for customers. Sadly, this week, the most famous of them all — Matilda, the longtime resident cat at the Algonquin Hotel in New York City’s Midtown — passed away from a stroke. Matilda, the beloved Algonquin Hotel cat. Photography courtesy the Algonquin Hotel. 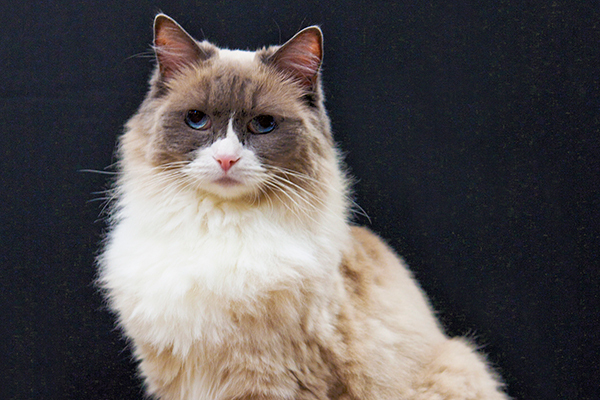 Matilda, a beautiful Ragdoll who served as the hotel’s feline ambassador for seven years, died at age 11 at the home in Minnesota where she was spending her retirement, according to the New York Post. The Post also reports that she had lived there since her retirement in July. The Algonquin has hosted 11 resident cats since the 1920s, starting with a stray named Billy who showed up in the lobby. Matilda was the third Matilda — and the most famous of the Algonquin’s cats. Like Billy, Matilda was a rescue kitty: The hotel adopted her from the North Shore Animal League on Long Island. Matilda, who had even appeared on international television, lived a life of luxury at the posh hotel, where she ate fine cuisine such as chef-prepared crab cakes. Hotel guests brought her elegant gifts, like hand-painted portraits and Bonita flakes from Japan. These painted memories of Matilda III decorate the hotel’s upstairs office. Hamlet, the new Algonquin Hotel cat. Photography courtesy the Algonquin Hotel. It is the rare cat who can handle this much attention and activity without getting worn out and annoyed. Matilda tolerated much more than most cats would, but as she aged, she started getting impatient with her duties of posing for countless photos and entertaining children in the hotel’s lobby. Following this progression, Matilda III retired when a regular hotel guest with an animal sanctuary in Duluth, Minnesota, offered to adopt her. 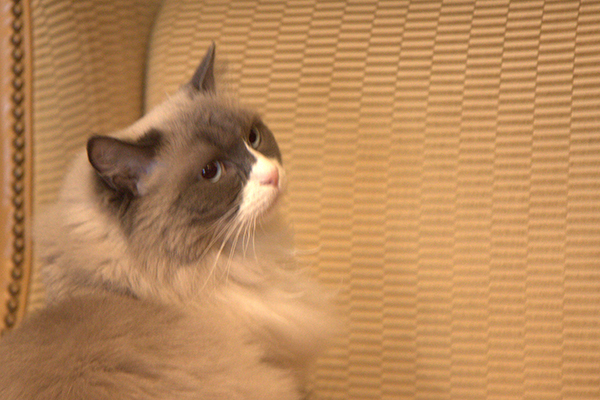 The Ragdoll kitty followed the guest out to greener pastures. Now, as many of us cat lovers agree, she is frolicking at the Rainbow Bridge with the Algonquin Hotel cats that have gone before her. 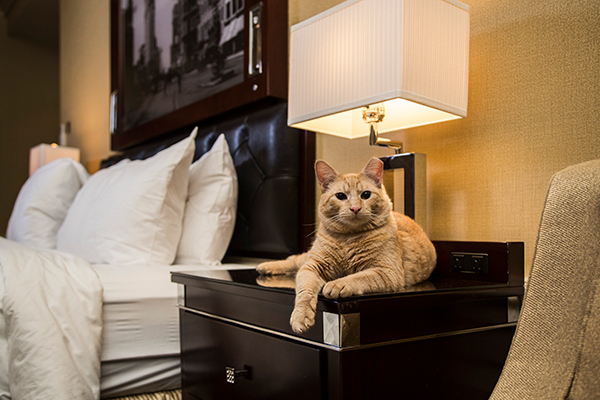 Meanwhile, Matilda’s successor – an orange tabby who is the hotel’s seventh Hamlet – is building his own memories at the Algonquin. Own a Business? 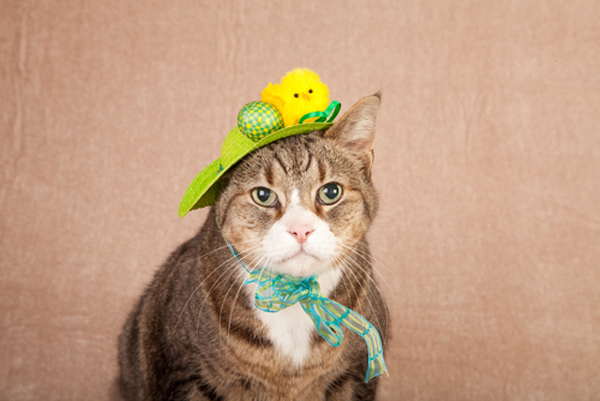 Consider Adopting a Cat Like Matilda as Your Mascot! The Matilda story illuminates the charm and joy of felines and how the surprise of finding a cat living at a hotel, store or other business can make your patronage there all the more enjoyable and memorable. 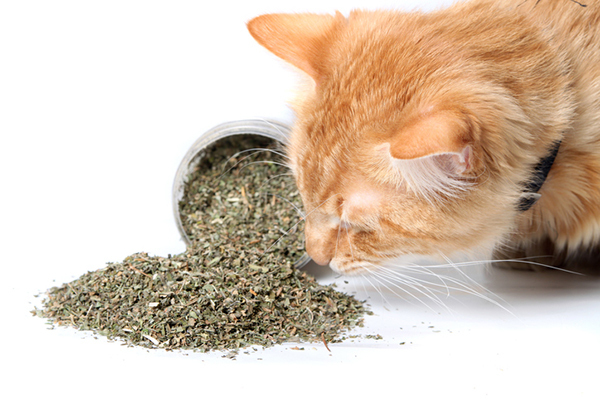 Many business owners have told us how their resident cats become popular mascots, and they draw customers who make repeat trips mainly to see the cats — although surely businesses benefit from the repeat patronage. I hope that sweet Matilda’s legacy becomes the appearance of many more resident cats — preferably rescues — at hotels and other public places. If you own a business, how about it? Your best piece of advertising may have four legs and fur. And I know, being a home-based writer, how cats — annoying though they may be while I am trying to type — can make better colleagues than humans. May Matilda rest in peace. Hamlet has some big paws to fill. 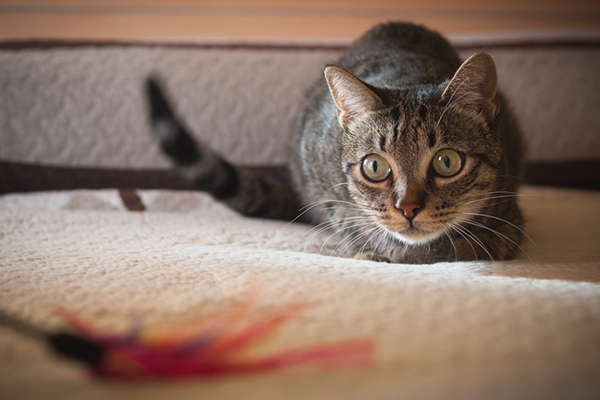 Tell us: Do you know any resident cats like Matilda? Let us know in the comments! Thumbnail: Photography courtesy the Algonquin Hotel.